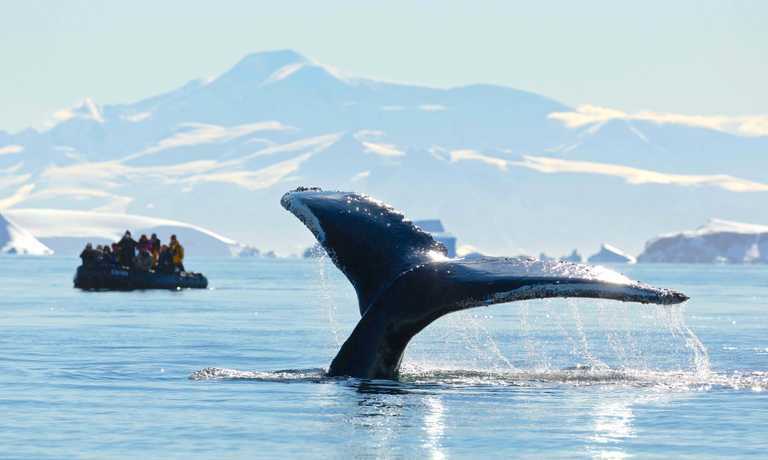 A classic 10-day voyage to the Great White Continent. Perfect for those wanting great value and comfortable accommodation. Sailing onboard a stable 198 passenger vessel that has recently been fully refurbished. Arrive in Ushuaia, Argentina - the world’s southernmost town. Explore the quaint city or local countryside. Alternatively, consider a day trip off the beaten path to the raw, natural archipelago of Tierra del Fuego. It's a hiker's paradise with rugged snow-capped mountains, glaciers, flower-filled meadows and boggy quagmires. In the afternoon, we board our ship, Ocean Atlantic. Our journey begins as we navigate through the calms of the Beagle Channel, a strait in the Tierra del Fuego Archipelago. Sailing onward, we cross the famed Drake Passage - a body of water that marks the intersection of the cold Antarctic with the warmer Atlantic and Pacific Oceans. The Drake Passage is known for rollicking conditions and strong westerly winds, called the Roaring Fifties. While this passage may be challenging, you can rest confidently aboard our expedition vessel, Ocean Atlantic, which is purpose-built with stabilizers, powerful engines and a highly-qualified crew. The most spirited sailors consider Drake Passage a lifetime achievement, and you will complete the crossing twice! 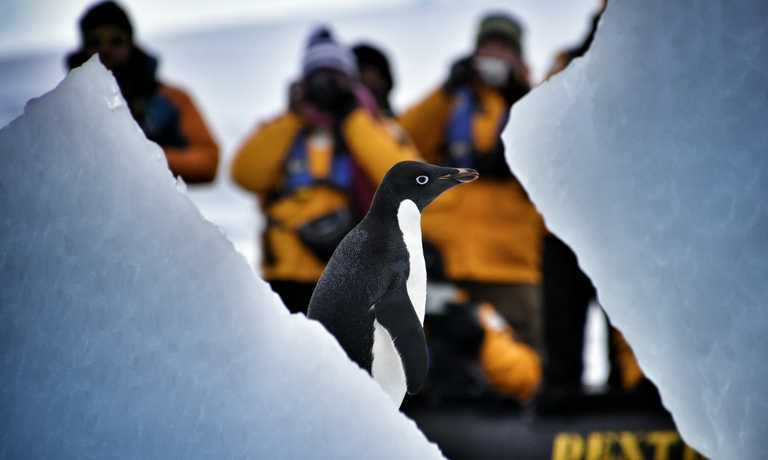 In the Drake, the excitement builds as Antarctic wildlife comes into view. Weather permitting, we will catch our first sight of seals and penguins! The area is also well-known for its abundance of birds. Over the next two days, we will begin the exciting Antarctic experience our ancestors only dreamed of. During these days we will explore the sub-Antarctic islands of the South Shetland chain and absorb captivating landscapes along the way. Weather permitting, our projected landfalls include: King George Island; Deception Island, an extinct volcano with waters warm enough for a polar swim; and Half Moon Island with nesting Wilson's storm petrels and chinstrap penguins. The itinerary and activities over the next few days depend on weather and ice conditions. The route and shore landings will be determined by the captain and expedition leader and communicated to guests through regularly scheduled briefings. As the white shimmer of Antarctica looms on our horizon, the presence of wildlife multiples by tens of thousands with many species of lively penguins, inquisitive seals, nesting birds and the spray of marine mammals. 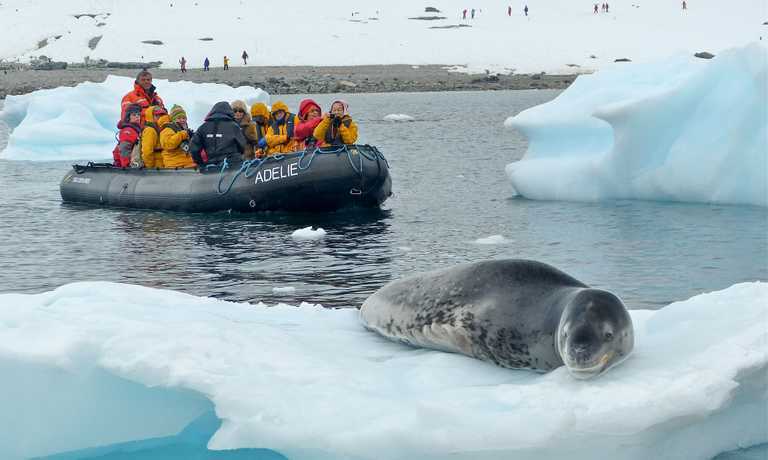 Wildlife abounds on our projected route along the Antarctic Peninsula: leopard, fur and Weddell seals of Cuverville Island; humpback whales of Gerlache Strait; Paradise Bay; the dramatic Lemaire Channel's orcas and much more. 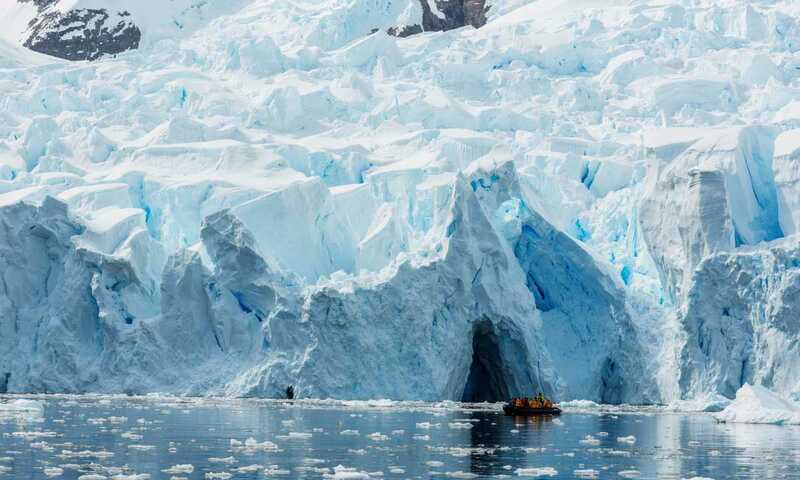 Please note that all the outings and landings rely on weather, sea and ice conditions being favorable both for the ship to access the areas, as for the zodiacs and kayaks to maneuver under adequate conditions, ensuring the safety of all our passengers and staff. For this reason, during moments of harsh weather and throughout the entire trip, Ocean Atlantic has excellent public areas such as wellness/sauna, restaurant, bar and a library for our passengers to spend their spare time. Our ship is staffed by experts in the field who will also share great lectures along the way, ranging from exploration history to biology, geology, ice and wildlife. We depart Antarctica and spend two days at sea on our way back to the calms of the Beagle Channel and Ushuaia, Argentina. En-route, we will cross the Drake Passage and cruise past Cape Horn, a legendary maritime landmark and the southern-most tip of South America. During our time at sea, a variety of activities will be arranged onboard which will provide the perfect opportunity to socialise with fellow travellers. Enjoy lectures by our expedition team, visit our shop and relax at leisure using the ship’s facilities. This morning, we arrive back in Ushuaia for the conclusion of our tour, where you can continue your adventures or begin your return journey home. Single Supplement: For those travelling solo and want their own cabin, the single supplement in a twin cabin is 75% the cost of a single berth plus a single berth. However, there is no single supplement for passengers willing to share a cabin. Child Policy: At date of embarkation, the minimum age restriction of 8 years and a minimum height and weight requirement of 64 lbs or 29kg and 48” or 1.2 meters must be met.